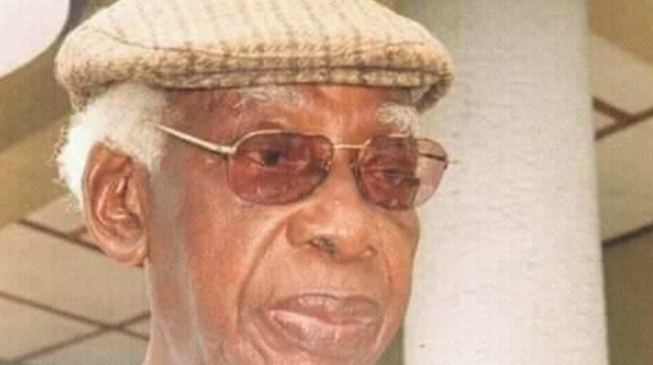 Torn trust, broken bonds, supreme succour, loyal love, honest hope, dead dreams, pure patience and great gain are realities that reflects as we seek our essence in life. These memories were milked and molded to give life to these chapters. The expressions are easy to follow and comprehend; soft on the palate. You will enjoy every bite from this piece of art. 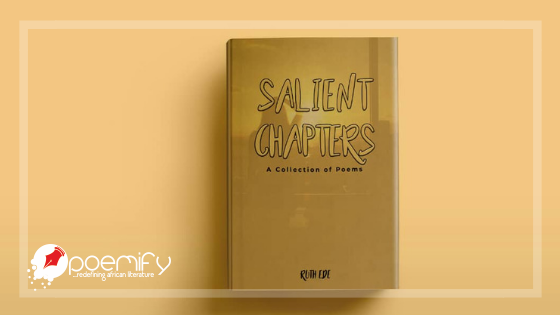 Ironically, SALIENT CHAPTERS is a poetic cleft in which the secrets of Ruth's persona, from the awesome to the austere, are neatly tucked. 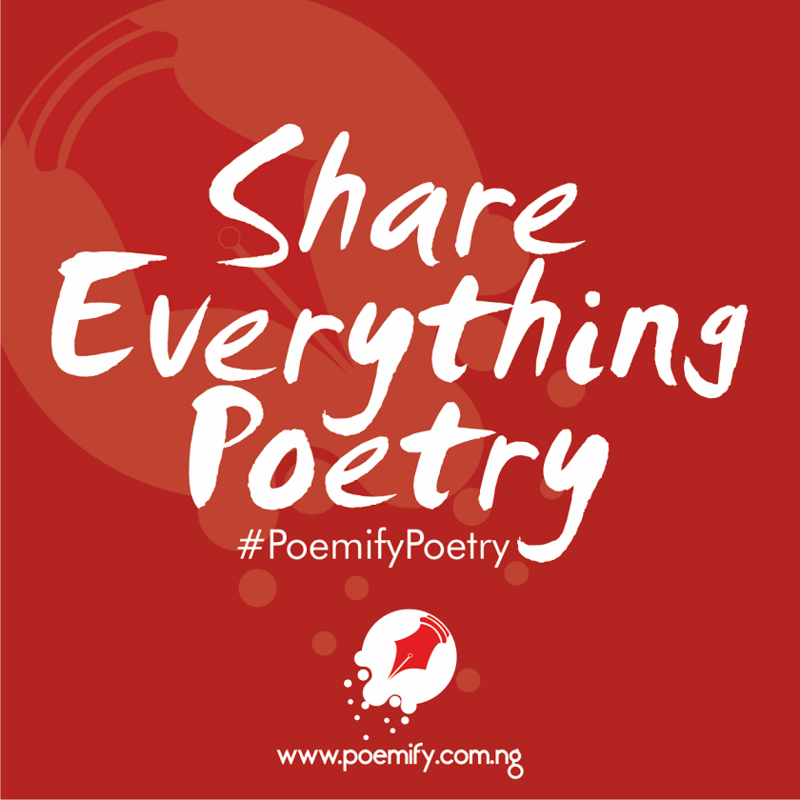 In these amazing poems, we are ushered as royal guests into the poet's caucus. Rare bravery is what it takes to butcher oneself before eager eyes and that is exactly what Ruth Ede has done with her first offering, SALIENT CHAPTERS. 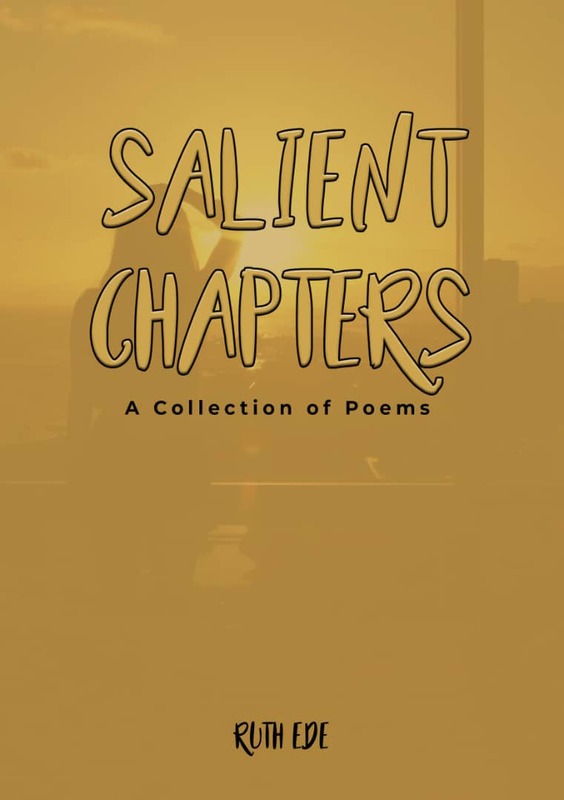 SALIENT CHAPTERS is a collection of words and imagery inspired by darkened skies and sleepless nights, with a debris of hope splashed across the sky. The graphics within these pages and the way they so elegantly connect with the poems demonstrate just how artful the author’s thoughts are. Ruth Ede used simple words that would make you feel like you're dreaming with your eyes wide open while the rest of the world is hiding. Her work is simply but powerfully expressed, and viscerally captures universal human experience today. Ruth Ede is a pearl, poet, public speaker, purveyor of knowledge and progressing pilgrim. She believes words wield power and with words she can impact her world. Ruth is an advocate for peace and her favorite slogan is God's my Dad.